Best Maid of Honor Toast Ever! Eminem would be Proud! 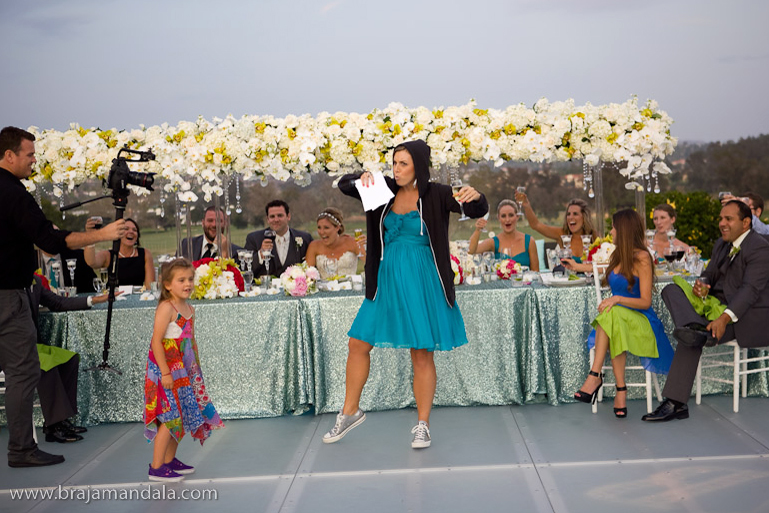 Here’s your latest viral video enjoyment from Los Angeles: Jennifer Gabrielli of Redondo Beach didn’t want to mess up the all important Maid of Honor toast at her sister’s wedding by forgetting her speech and crying so she did what any conscientious little sister would do…write the speech to Eminem’s rap song “Without Me” and belt it out like a boss! Girl nailed it! Lyrics below. So much wonderful goofy goodness from people here in LA…want to see more?